Anyway, as previously stated, I started my diet on Saturday and yesterday (Friday) marked the 7th day – a whole week on the program – and I can say I’m doing well. While I did say I was getting hungry a lot at the beginning, over the week I’ve been getting less hungry and when I do get hungry, I can usually ignore it easily. I would think, “Ah, I’m a little hungry… well, I’ll just get back to what I was doing;” seems like I can distract myself enough and not be bothered by the feeling 😉 and I only particularly notice when I don’t really have anything on my mind. However, when I am particularly hungry where I can’t ignore it, I jump of course to the free foods I’m allowed to have. 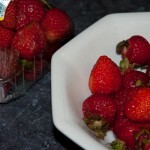 The current free food of choice is strawberries. Everyone loves strawberries, right? 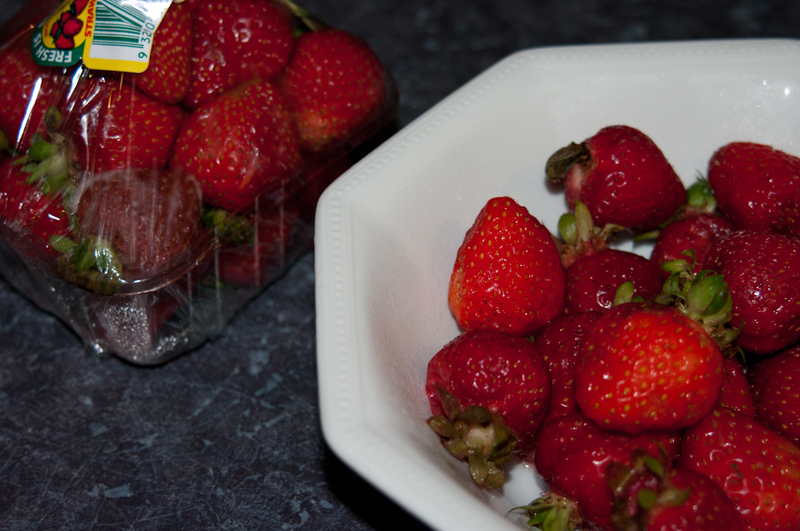 One of the best things to eat really 🙂 There’s still celery in the fridge, though, but strawberries are better for so many reasons, haha. Consequently, I might post about the 2nd week. If not, I’ll post a First Month Postmortem since a bigger change is bound to be observed then! Old eating habits were really large servings and snacking on junkfood. Including eating instant noodles late at night. As for recording it… no? And I wouldn’t call it “instant weight loss” since it did happen over the period of a week. But, the diet program aims to sort of do that – sharp loss at the beginning to work as a “motivator” by means of meal supplements and then slowly weening you off those and having proper normal meals to make sure I’ve “learned” how to eat properly and can keep the weight off myself. I think it’s a good program in that way.